"You're Rubicon is capable of so much more" -- I hear this all the time and you know what... They are right. 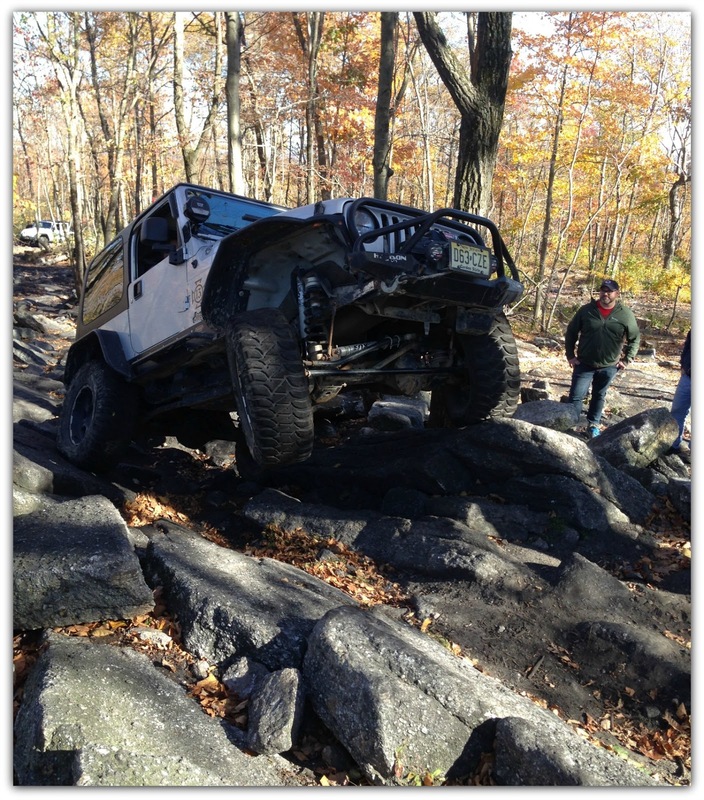 I spent this past weekend at Rausch Creek Off Road Park wheeling on the trails. 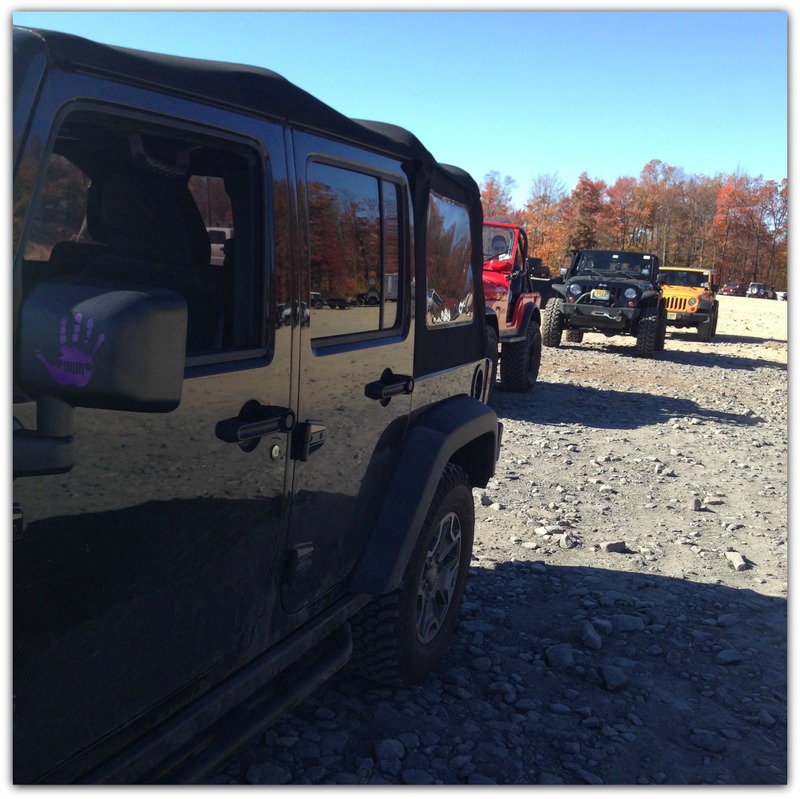 Saturday I was off roading in the Clayton Off Road Jeep at Women's Wheelin Day. 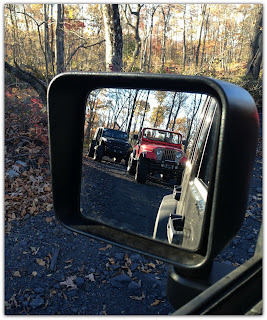 I drove up Friday morning and was ready to hit the trails at 1pm. 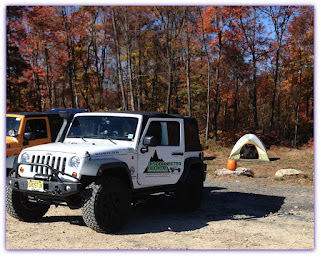 I met up with some great Jeep guys from Disconnected Off Road out of New Jersey. Never had met any of these guys in person, I was a little nervous. I had nothing to worry about though. This group was fantastic. They welcomed me into the fold even though my Jeep was the only a stock Jeep in the midst of all their lifted Jeeps. 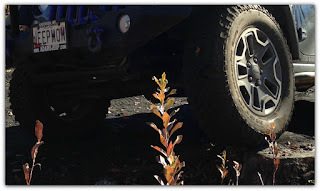 But they knew how capable it was because it was a Jeep... They know Jeeps! So we headed out onto the trails. Right off the bat we hit a blue trail heading for the blacks and reds. I was nervous, but at the same time excited to be upping my game. One of the guys got out and spotted me through the trail. Guess what?! No problem making my way through the trail. 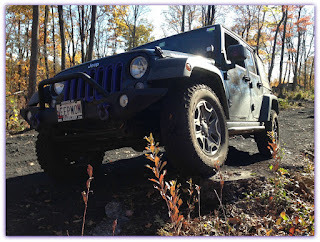 My Jeep is more than capable, I just need to gain some confidence. 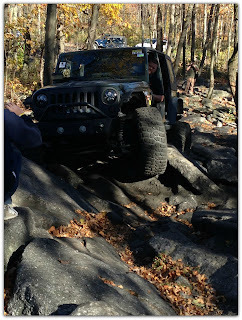 And with a good spotter it's simple and easy over the rocky trails. I had several good spotters on the trail throughout the day. However after wheeling with me I am thinking they might deserve an award... "I survived Wheeling with Jeep Momma". 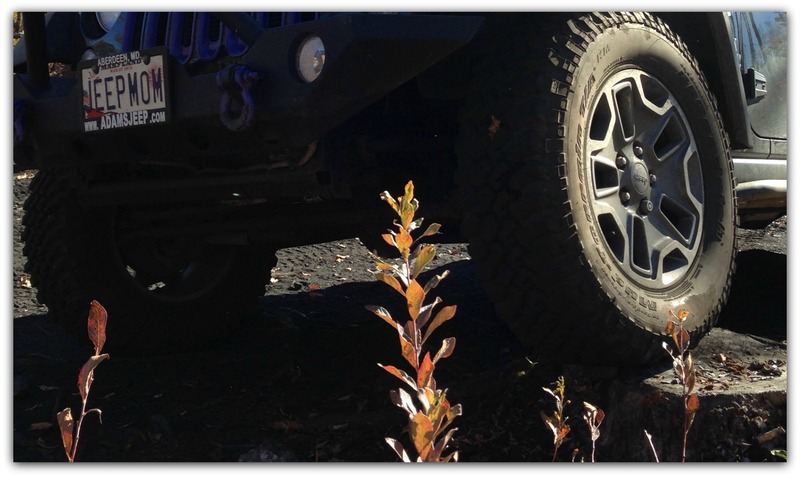 I tend to be a very slow and cautious wheeler always worrying about damaging my Jeep. They were patient and tolerant of my wheeling. They were also encouraging as they helped me through the more difficult parts. Check out my You Tube video to get a glimpse of what my spotters went through. This outing was a mix of all different experiences for me. It wasn't just sitting in my Jeep rolling down the trails. 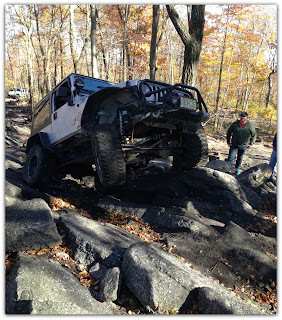 There were a couple of stops where the lifted Jeeps crawled up and down the rocky trails. I was able to get out of my Jeep and see it first hand in person and not on a You Tube video. 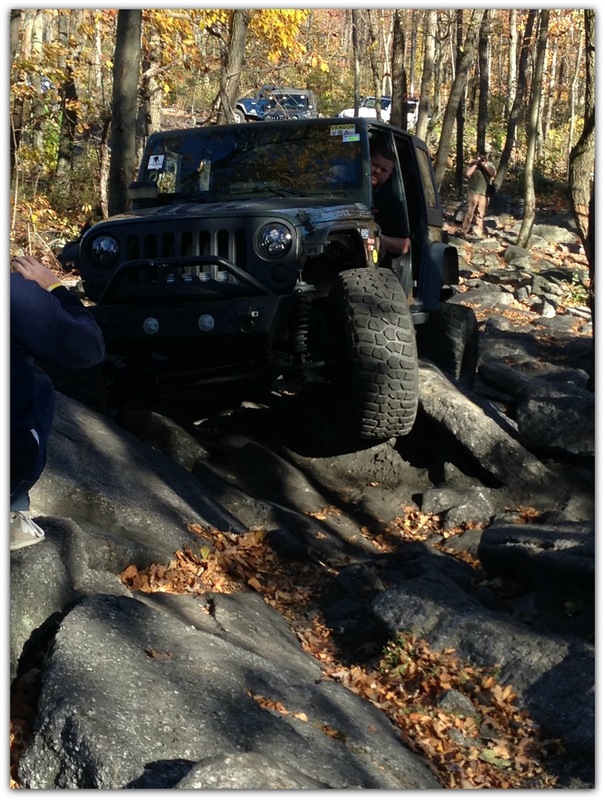 It was intense and really cool to stand on the rocks above the Jeeps as they crawled through the obstacles. 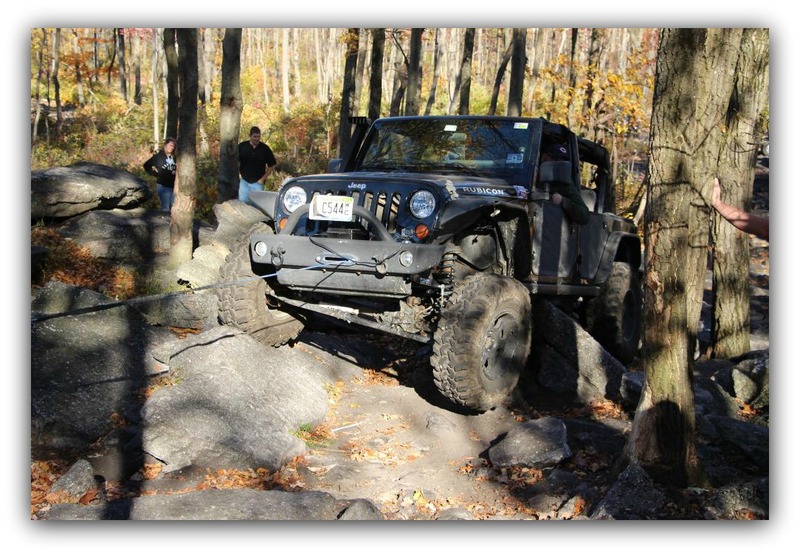 There was also a point on the trail where one of the Jeeps needed to break out a tree saver and winch to get over the rock. 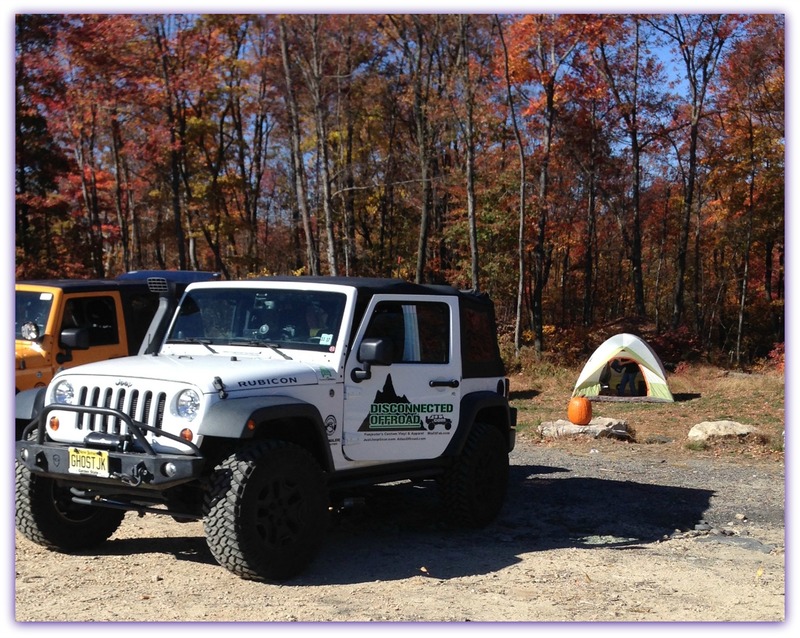 Off Roading isn't just about you sitting in your Jeep rolling over the trails but experiencing it at all levels -- driving, spotting, and watching. 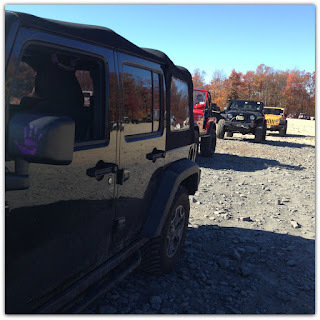 I had the best time with Disconnected Off Road. 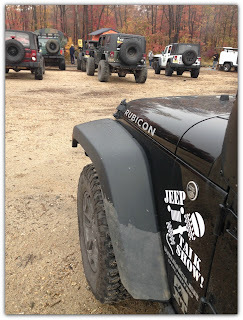 They are a great group of wheelers who are welcoming of other Jeepers on the trails with them. I look forward to many more trail rides with this group.